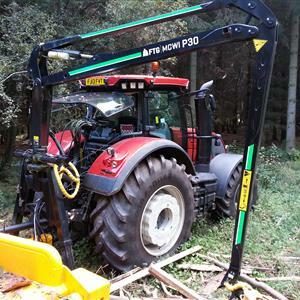 Designed to deal with the hardest of timbers, fast and efficiently. Easily transportable, the 17 ton range is deployed to create a true working area so that the operator can control his work area with ease. Hydraulic height adjustment of the splitting knife into 2 or 4 pieces. The output support table is very large and strong to support timber for re-splittting. The unique shape of the main beam allows timber to be easily pulled back to be re-split and also supports shorter rings with out them 'rolling off' to one side. The powerful hydraulics has 2 speed function and the hydraulic splitting cylinder is retractable for transport. Rights for techincal modifications reserved. Warranty 1 year.